This article will describe installing byobu for terminal multiplexer. 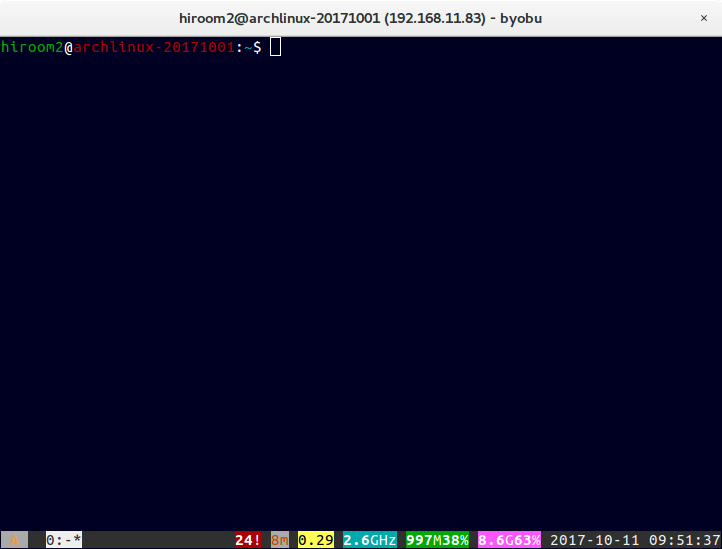 Byobu is frontend for tmux and screen. Install byobu and tmux. The tmux is installed as backend. Run byobu with byobu command.